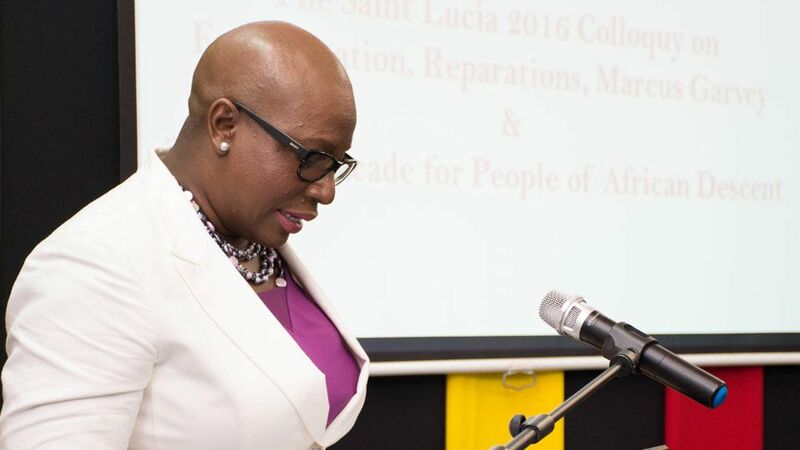 Acting Prime Minister and Minister for Education, Dr Gale T. Rigobert, says Saint Lucia is proud to have officially adopted and launched the United Nations Decade for People of African Descent. The Acting Prime Minister spoke following her presentation of an official declaration adopting the UN Decade last week, during a Colloquy on Slavery and Emancipation, Reparations, Marcus Garvey and the UN Decade for People of African Descent. The event, held at the UWI Open Camps Saint Lucia on August 17th, was organized by the Saint Lucia National Reparations Committee (NRC). Dr Rigobert, who is also minister responsible for Innovation, Gender Relations and Sustainable Development, said her government stands by to observe the relevant protocols the country adopted when the decade was launched at the UN in New York last year. Speaking before reading the declaration, the Acting Prime Minister said she was also proud to have been part of the historic event, which also observed the 129th Birthday of Marcus Garvey, launched a Reparations Lecture Series and saw the passing of the CARICOM Reparations Baton from Guyana and Surinam to Saint Lucia. Dr Rigobert traced the history of the UN’s adoption of the Decade back in 2013, when the General Assembly agreed to observe the decade from January 1¸201 to December 31, 2024. The Acting PM also reiterated Saint Lucia’s commitment, within its means, to implement the agreed UN resolution. At the 68th Session of the General Assembly, member states of the United Nations adopted Resolution 68/237 in December 2013, through which the International Decade for People of African Descent was proclaimed, commencing January 01, 2015 and ending December 31, 2024. The decade was proclaimed under the theme “People of African Descent: Recognition, Justice and Development” and was to be officially launched following the general debate of the 69th session of the General Assembly. The President of the General Assembly was requested to facilitate the continuation of consultations with members and other stakeholders towards the elaboration of a programme for the implementation of activities to achieve the objectives of the international decade. The resolution further called for the allocation of predictable resources for funding the implementation of the programme of action and activities from the regular budget and extra budgetary resources of the United Nations. 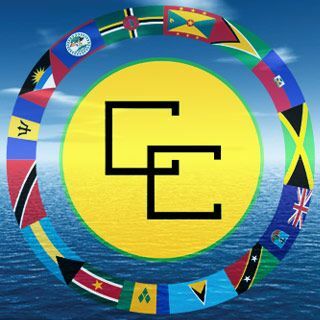 Launches the International Decade for People of African Descent in Saint Lucia and declares its commitment, within its means, to support the implementation of the Programme of Action agreed at the United Nations.